Visit the official website to fill the "Application form"
Candidates have to fill the details carefully. Make the payment online or through DD. 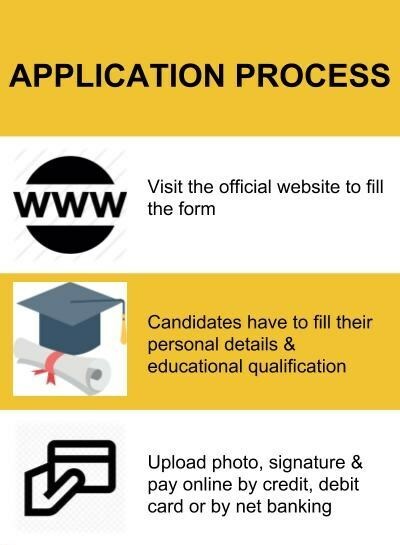 Candidates must complete their admission procedure by paying the fees on or before the last announced date. The responsibility of the candidates to ascertain whether they possess the requisite qualifications for admission. Having been admitted provisionally does not mean acceptance of eligibility. Final eligibility for admission will be decided by Symbiosis International University. Admission fees will not be returned to disqualified or rejected candidates. Admission to this course is based on marks obtained in the SNAP 2018 entrance exam. 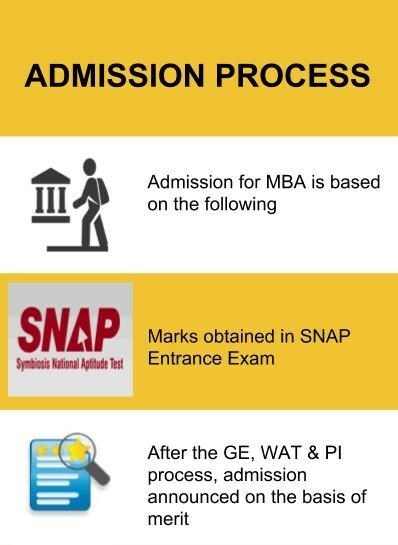 SNAP is an exam conducted for admission to MBA programmes for Symbiosis Institute. Round 3: Written Ability Test. It is mandatory for the shortlisted candidates to appear for GE, PI & WAT to be eligible for admission. Admission in Symbiosis Institute of Operations Management, Nashik is based on merit followed by an Interview. Admission is based on merit followed by an Interview. Admission is based on Application and Interview. 45% marks for SC/ ST candidates. Candidates having a Graduate Degree in any discipline with 50% marks from any recognized University. Candidates must have a Bachelor's Degree in any discipline with a minimum of 50% marks from any recognized University with minimum 3 Years experience (after Graduation).